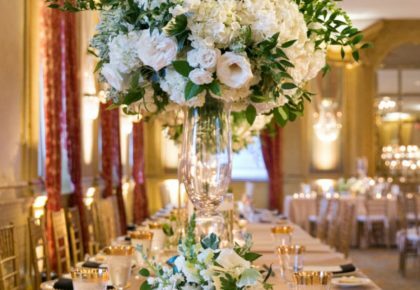 For all of you engaged gals, we had to share these fabulous bridal shows that are just around the corner! 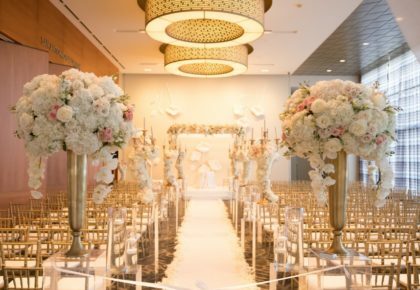 Just a little over a week away, is the Las Colinas Bridal Show at the Irving Convention Center and the Plano Bridal Expo at the Plano Centre on Sunday, January 5. 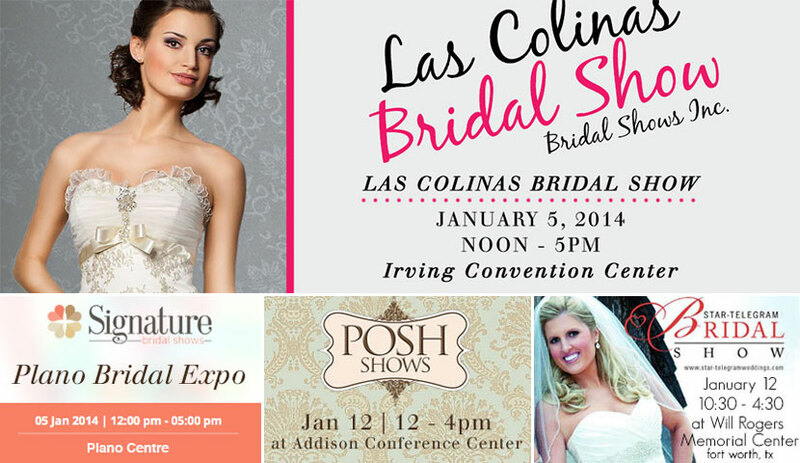 The Las Colinas Bridal Show will take place from noon to 5 pm. 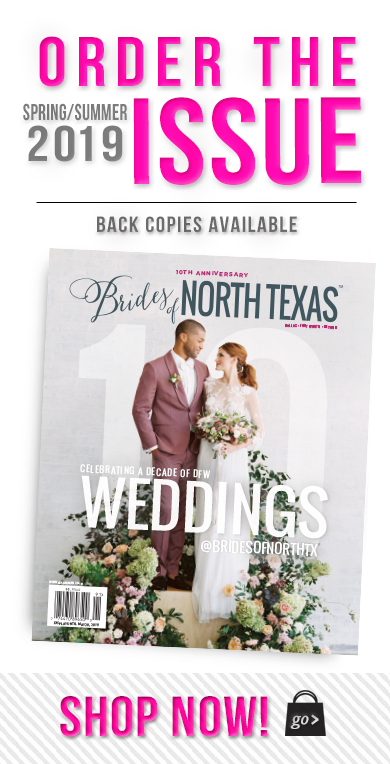 Stop by the Plano Bridal Expo from 12 to 5 pm to meet local wedding vendors. 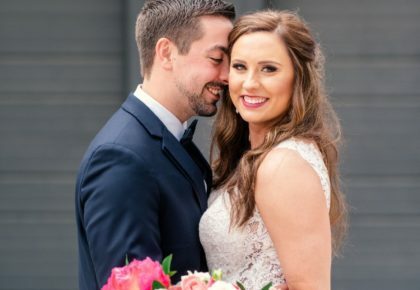 The following weekend, on Sunday January 12, attend the Posh Bridal Show at the Addison Conference Center and the Star-Telegram Bridal Show at Will Rogers Memorial Center in Fort Worth. The Posh Bridal Show will take place from noon to 4pm, and the Star-Telegram show runs from 10:30 am to 4:30pm. Be sure to mark your calendars and don’t miss out on these fantastic events! Cheers!